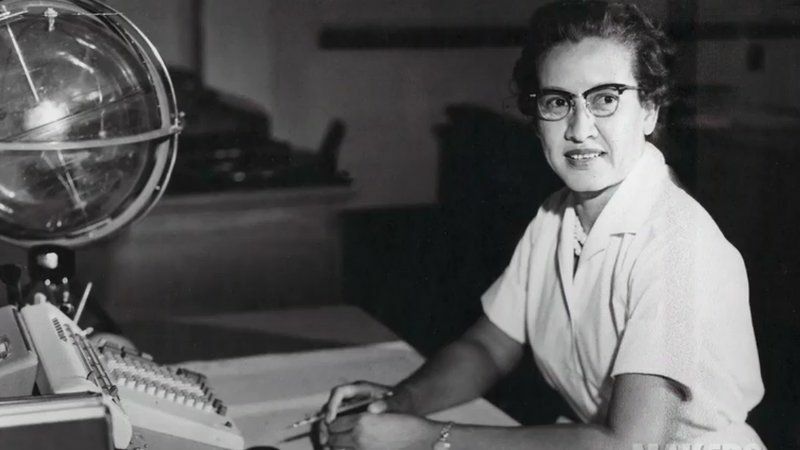 Teacher Resources > Monday Morning Ready > The true story of "Hidden Figures"
Why do you think it's taken more than 80 years for the women who worked at West Computers get the recognition they deserve? According to the article, the women who worked at West Computers often did their jobs with "no sense of the greater mission of the project." Do you think that mattered? Why or why not? The women who worked at West Computers acted as human computers. By the 1970s, technological advances made their roles obsolete. Technology continues to advance. What kinds of jobs that exist today do you think will become obsolete because of technology in the near future? Why? According to the article, the women of West Computers were constantly reminded that they were second-class citizens. This occurred despite the fact that their superior mathematical skills were at the heart of aeronautical advancements. Women and minorities are still underrepresented in STEM fields. Why do you think that is? Have students identify different fields of engineering. To narrow their search, suggest that they begin with the National Action Council for Minorities in Engineering's site Types of Engineering. Tell students to select one field of engineering and conduct research to learn more about it. Instruct them to identify types of jobs in that field. Challenge them to learn how the field has changed over time, specifically how women's roles in the field have evolved. Encourage students to identify prominent men and women-both past and present-who have worked in that field and to describe each person's most notable contributions. Instruct students to analyze the information they've collected. Have them write a brief summary about what surprised them the most. Then give students time to brainstorm ideas about how they could use that information to inspire others to pursue a career in this field of engineering. Give each student a piece of plain white paper. Have them fold their papers vertically in thirds. Instruct students to use what they learned to create an innovative brochure about their chosen field of engineering. Invite students to share their brochures with the class. Challenge classmates to identify at least one component in each brochure that would inspire them to pursue a career in those engineering fields. Identify engineering fields as a class. Then divide the class into small groups, based on the type of engineering each student would like to pursue. Have groups conduct research to learn more about their chosen field. Instruct students to write a brief summary telling what they learned that surprised them the most. Then have each student create his or her own brochure. Divide the class into small groups. Have each group conduct research to identify major fields of engineering. Instruct them to select one type of engineering to investigate further. When research is complete, have each student write a summary. Have students share their summaries in their groups. Then have them brainstorm ideas together. Instruct each student to create his or her own brochure about the selected field of engineering. Divide the class into pairs. Have partners conduct research to identify major fields of engineering. Then have each student select one field to study further. When research is complete, have partners each write a summary and then share and compare what they learned. Encourage them to identify aspects of each field that they found to be the most interesting. Then have each student create his or her own brochure. Challenge students to select a design, message and format that will entice others to pursue careers in this field. Have students conduct research to identify major fields of engineering. Instruct them to select the field that that interests them the most. Give students time to conduct research and summarize what surprised them the most. Divide the class into small groups. Have group members share and compare what they learned. Then have each student create his or her own brochure. Challenge them to present vital information in a creative way that will entice others to pursue careers in this field. Encourage them to include examples of the things that surprised them the most. This K-8 science-enrichment program, presented by the Chandra X-ray Observatory, uses a series of posters and accompanying questions to pique student interest in science concepts and their application to the world in which we live. Encourage your students to learn by doing with these interactive NASA Resources. Students will explore the science of aerodynamics, learn about the cultural history surrounding aviation, test their knowledge of geography and more. The site also includes online conferences, archived lectures, activities that investigate the four forces of flight and a 30-minute webcast designed to increase student interest in STEM. Students use prior knowledge of kinematics to test a CO2-powered balsa wood dragster in this teacher-created lesson from the Cooper-Hewitt, Smithsonian Design Museum. The main objective is to design a dragster that will keep an egg from breaking when the dragster crashes. In this activity from the Cooper-Hewitt, Smithsonian Design Museum students research and discuss robots in order to design and build 3-D robot prototypes of their own. Most middle school students are anxiously awaiting the time when they will legally be able to get behind the wheel of an automobile. This lesson from the Cooper-Hewitt, Smithsonian Design Museum taps into that interest by having middle school students design a dashboard for a car that will be marketed to the 16- to 23-year-old set. Read this Smithsonian article to learn why the lack of women leaders in STEM creates “a catch-22 death spiral” and how robotics teams are trying to change that.